Dr. Lucier’s credentials and record of accomplishments in the field of toxicology are impressive and well-documented. 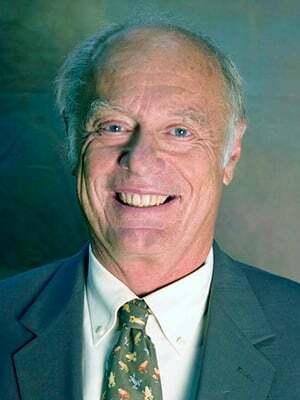 He retired from the National Institute of Environmental Health Sciences in 2000 where he was Director of the Environmental Toxicology program and Associate Director of the National Toxicology Program. In that capacity, Dr. Lucier was responsible for coordinating toxicological research and testing across Federal agencies including the U.S Environmental Protection Agency, the Food and Drug Administration, the Occupational Safety and Health Administration and parts of the Centers for Disease Control. Dr. Lucier was head of a research group in molecular epidemiology and risk assessment and has authored approximately 250 scientific publications. His research focused on the use of basic biology to reduce uncertainty in human risk assessments and to improve the tools used in exposure assessment. His work has made major contributions to risk assessments for dioxins, endocrine disrupters and methylmercury and he is frequently asked by Federal agencies to assist them in high visibility risk assessments. Dr. Lucier chairs the Science Advisory Board for hazardous air pollutants for the State of North Carolina which makes recommendations on safe exposure levels on air pollutants of concern to North Carolina. He is also an advisor to the National Institutes of Health, a member of the NAS Committee on Toxicity Testing and a member of the Science Advisory Board for EPA. Dr. Lucier was editor of the scientific journal, Environmental Health Perspectives, for 28 years. 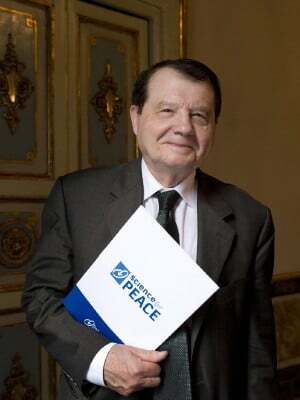 Professor Luc Montagnier graduated in both Medicine and Biological Sciences at the University of Paris. At the age of 23, he became Assistant at this University. After a fruitful post-doctoral stay in two British laboratories, he spent most of his scientific career in two renowned French Institutions, the Institut Curie and the Institut Pasteur in Paris. Within the new Department of Virology of the latter Institute, he founded the Viral Oncology Research Unit which devoted its activities to 1) the study of cancer viruses, mostly the oncogenic retroviruses and 2) the biochemical aspects of interferon and of malignant transformation, including membrane changes in relation with the growth in soft agar, a new property of cultured malignant cells. In 1983, he led the team which first isolated the Human Immunodeficiency Virus (HIV1) and brought the first evidence that this virus was the causative agent of AIDS. In 1985, he also isolated the second AIDS virus, HIV2, from West African patients. His laboratory was also the first to show that a large fraction of white blood cells of HIV infected patients were prone to die by apoptosis, a process of programmed cell death and to attribute its origin to the oxidative stress occurring in the patients, possibly associated with co-infections. Professor Montagnier’s current studies are aimed at the diagnosis and treatment of microbial and viral factors associated with cancers, neurodegenerative and articular diseases, using innovative technologies. As a strong advocate of preventive medicine, he is especially concerned with prolonging the active life of aging people. Beyond his scientific interest is his deep involvement with helping developing countries to acquire knowledge of and access to modern medicine and preventive medicine. As President of the World Foundation for Aids Research and Prevention, he has co-founded two Centers for the prevention, treatment, research and diagnosis of AIDS patients in Ivory Coast and Cameroon. Ten years ago, Professeur Montagnier co-founded CHRONIMED, an international group of physicians treating chronic diseases, including but not limited to autism spectrum disorders, Alzheimers, Lyme, multiple scleroses, and cancer. Various treatment modalities are used for these multi-factorial conditions. Most of these treatments were developed upon the research of Montagnier and his Chronimed associates. Foundation Luc Montagnier in Geneva, Switzerland does cutting-edge research, bringing in international investigators in various fields. The Foundation has on its premises associated Chronimed clinicians. Luc Montagnier has been awarded many prizes including Prizes Rosen (1971), Gallien (1985), Korber (1986), Jeantet (1986), the Lasker Prize in Medicine (1986), the Gairdner Prize (1987), Santé Prize (1987), Japan Prize (1988), King Faisal Prize (1993), Amsterdam Foundation Prize (1994), Warren Alpert Prize (1998), Prince of Asturias Award (2000) the induction to the National Invention Hall of Fame )2004). He is Commandeur de l’Ordre National du Mérite (1986) and Grand Officier of the Legion of Honour (2009). In 2008, he was awarded the Nobel Prize for Physiology and Medicine, for his discovery of HIV, together with Françoise Barre-Sinoussi. He is the author or co-author of 350 scientific publications and of more than 150 patents.